Why Horoscope Matching is Important for Successful Marriage? Marriage is a defining moment in the lives of two individuals and their families. This delightful relationship ties two spirits, together for the lifetime and beyond. It is a new start; a start of a new life and a new journey together. There are different ceremonies, traditions or rituals when a marriage takes place, especially a Hindu Marriage. The first and foremost ritual that must be followed is Horoscope Matching, also known as Kundali Matching. Families, first match the detailed birth charts of their children, i.e. the bride and the groom, to see whether their stars are compatible or not. So what does Kundali Matching mean? What does it say? Is it that necessary? 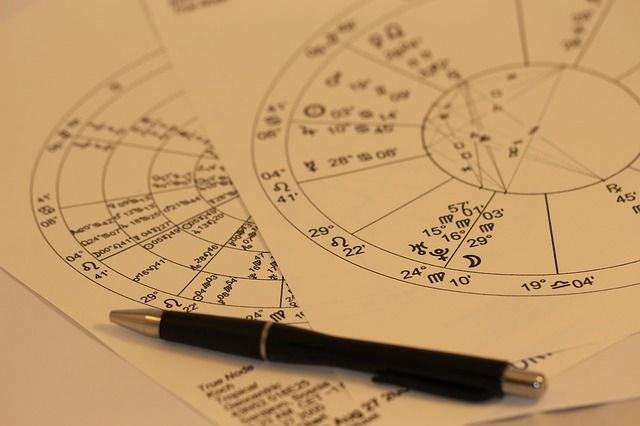 Various astrologers clarify what part of Astrology plays an important part in a person’s married life and why Kundli matching is necessary for those who are planning to tie the knot. At the point when two individuals decide to get married, the movement of their planets has a deep influence on their lives. Bhakoot, the seventh guna among the eight gunas demonstrates how the couple would fare professionally. It tells whether they both will have stability and success in their respective careers after they get married and so their financial compatibility is checked, as well. As per Vedic Astrology, persons of the same zodiac sign are generally compatible with each other. Starting from Aries to Pisces, star signs have a total of 78 different combinations for marriageable couples. Kundli matching takes care of all these traits and checks the positive and negative aspects of an association. There is one major motivation behind why kundli is matched before marriage is to see how compatible the groom and bride are. According to astrology, there are 8 gunasi. e. Ashtakoota, which are matched to find out how perfect the two individuals are and how prosperous their life will be. Each guna holds a different point making the total to 36 and each point denotes a different aspect of life. It additionally shows how their individual stars and fates will influence each other. Also, while matching horoscopes, the following things must not be ignored – Nakshatra Match (Star Match) and presence of KujaDosha (Mangal Dosha). One major cause of concern that can be checked through horoscope matching is the happiness and well-being of kids. Nadi, the eighth guna is the aspect that governs overall health and progeny. NadiDosha in a couple’s Kundali Matching Report can have some profoundly negative impact on the health of the couple or their kids. Childbirth issues or issues in conceiving a baby is also due to the presence of this dosha. So, it is important to find out whether this Dosha is present when the horoscopes are matched. What Doshas are You Carrying? When a child takes birth, the positioning of the stars and the time and place of its birth choose his fortune. This factor is an experimentally proven one and is consequently critical to each person. The placement of stars and various astrological combinations can at times be such that they form a Dosha in one’s chart, such as, Mangal Dosha, Shani Dosha, KaalSarpDosha, etc. Such doshas can cause deep troubles in marriage and with the help of Kundli matching, the same can be identified. If any of these doshas are present in your Kundli, then, the astrologer can help you rectify the same with certain poojas or customs and rituals. In extremely adverse cases, marriage isn’t advisable. Various Kundli Matching softwares are available online which can give you the most accurate and detailed Kundli Matching Report of you and your partner.